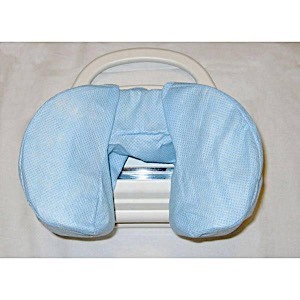 These disposable covers fit on a variety of headrests and protect against patient contamination. Soft and comfortable on sensitive facial skin. Hook and loop fastener on underside holds cover securely in place.